Indian Law Conclave is a three-day National Conference organized by Adhrit Foundation, INY Foundation and Model Governance Foundation at Jagran Lakecity University, Bhopal from 29th June – 1st July, 2018. Applications for Youth Awards can be sent by the confirmed delegates along with their CV and Statement of Purpose to [email protected]. For further details, drop us a mail at [email protected]. 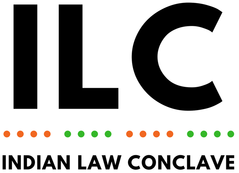 To register, visit http://www.indianlawconclave.com/registration.html. Next Article The Conversation Junction by Lex Quest, Apply Now!